The vast majority of tractor-trailer accidents are caused by driver errors such as speeding, tailgating, and making illegal turns. Even if a trucker drives responsibly, though, all it takes is one mechanical malfunction to cause a devastating wreck. After being injured or losing a loved one in a truck crash due to brake failure, you may be wondering, “Who is liable for my damages?” Unfortunately, there’s no universal answer to this question because there are many factors that lead to brake failure, and each case is unique. If you need personalized advice about your particular claim, turn to Charnas Law Firm. Attorney Scott Charnas has successfully handled a wide array of truck accident cases against some of the largest motor carriers in the country. He has the resources, knowledge, and experience to help you fight for the compensation you deserve. Call 212-980-6800 to schedule a free case evaluation with a truck accident attorney in Massachusetts. 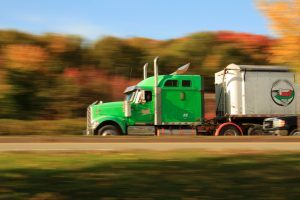 Who Could Be Liable for Damages After a Truck Accident Caused by Brake Failure? What Kinds of Braking Deficiencies Can Cause a Collision? Big rigs weigh up to 20 times more than the average passenger car, so they require far more stopping distance. Trucks are equipped with advanced braking systems to minimize this distance, but if the brakes are not installed or maintained properly, it could lead to a serious collision. What Kinds of Damages Might I Be Able to Recover After a Truck Accident? In the state of Massachusetts, punitive damages may also be recoverable if the defendant acted with gross negligence, willful or reckless misconduct, or malice. If you were hurt in a wreck with a big rig through no fault of your own, contact Charnas Law Firm to discuss your case. Attorney Scott Charnas provides aggressive and compassionate representation to clients throughout New York and Massachusetts. Call 212-980-6800 or fill out our Contact Form to schedule a free consultation with a personal injury attorney in Massachusetts.